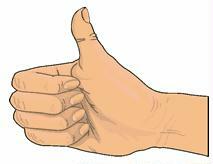 Natural gas is a nearly odorless and colorless gas that accumulates in the upper parts of oil and gas wells. Raw natural gas is a mixture of methane (55 to 98%), higher hydrocarbons (primarily ethane), and noncombustible gases. Some constituents, principally water vapor, hydrogen sulfide, helium, and gases for liquefied petroleum gases and gasoline are removed prior to distribution. Natural gas used as fuel typically contains methane, CH4 (70 to 96%); ethane, C2H6 (1 to 14%); propane, C3H8 (0 to 4%); butane, C4H10 (0 to 2%); pentane, C5H12 (0 to 0.5%); hexane, C6H14 (0 to 2%); carbon dioxide, CO2 (0 to 2%); oxygen, O2 (0 to 1.2%); and nitrogen, N2 (0.4 to 17%). The composition of natural gas depends on its geographical source. Because the gas is drawn from various sources, the composition of gas distributed in a given location can vary slightly, but a fairly constant heating value is usually maintained for control and safety. Local gas utilities are the best sources of current gas composition data for a particular area. Heating values of natural gases vary from 900 to 1,200 Btu/ft3 ; the usual range is 1,000 to 1,050 Btu/ft 3 at sea level. 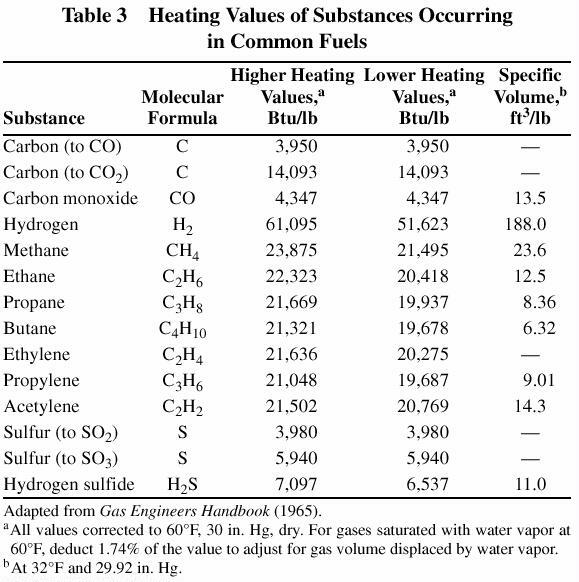 The heating value for a particular gas can be calculated from the composition data and values in Table 3.